It is a common misperception that the Fed has in the past raised rates pushing the US economy into recession. 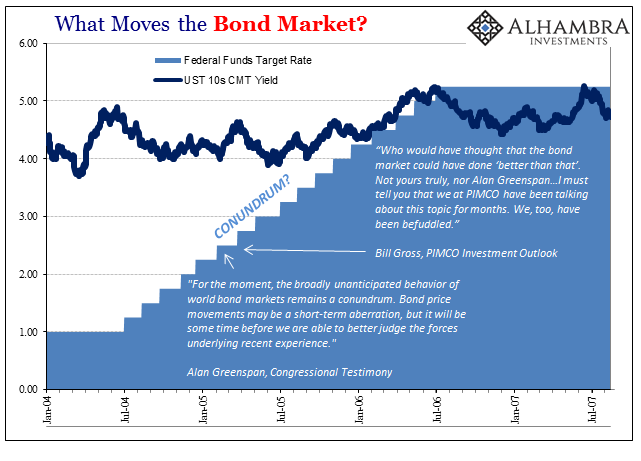 The last time that was true was in 1979, when the Fed raised its Discount rate from 9.5% starting in June of that year to 13.0% the following March – right in the middle of the 1980 recession. It was pretty much the final curtain for the Discount Window’s economic and policy relevance, and even then it is arguable as to what really caused that cyclical peak and the double dip that closely followed it (was it the response to inflation, or simply the inflation?). In the past few business cycles, the Fed has made the simple mistake of believing the economy in a good to great position which it really wasn’t. It’s practically stamped institutionally on every official forecast, a baseline of over-optimism that hasn’t been warranted in at least twenty years. 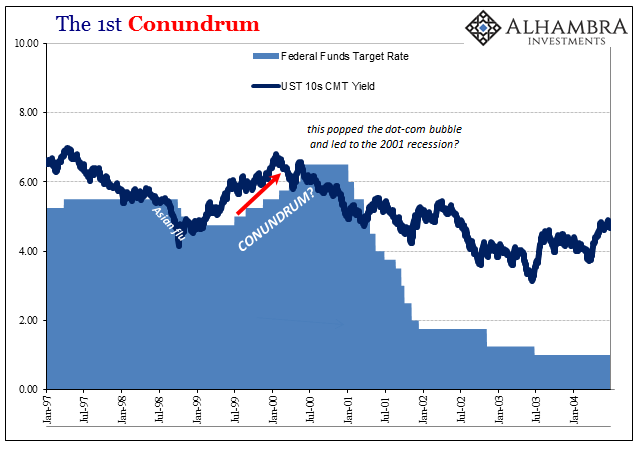 The Fed “raised rates” starting in 1999, the almost totally immaterial Discount rate in addition to the federal funds target, to which many still assign responsibility for the dot-com recession, even the dot-com bust itself. Monetary policy no more popped the stock bubble than it was responsible for the mild recession that followed. Increasing the federal funds target six times from 4.75% to a peak of 6.50% would not have really been a material difference even if the system was actually that sensitive to the secondary (perhaps tertiary) federal funds costs. Instead, Federal Reserve officials have made it a habit of picking nearer the top in the business cycle for the point at which to begin their activities. One primary reason for that especially in the 21st century has been the economy’s tendency to remain persistently weak even through what should otherwise have been recovery periods. That was certainly true in 2004-06, and it is so again 2009-ongoing. The Fed, given that persisting weak bias despite its own opposite one, is forced to wait for clearer signals of growth before it will act. The official end of the dot-com recession was, according to the NBER, dated to November 2001. The Fed, however, was still reducing its federal funds target (and Discount rate) for almost another two years thereafter. It wasn’t until the economy accelerated in the housing mania that the FOMC under Greenspan was convinced the weak recovery had passed to full recovery. Did the 2004-06 “tightening” cycle cause the Great Recession? Not remotely. 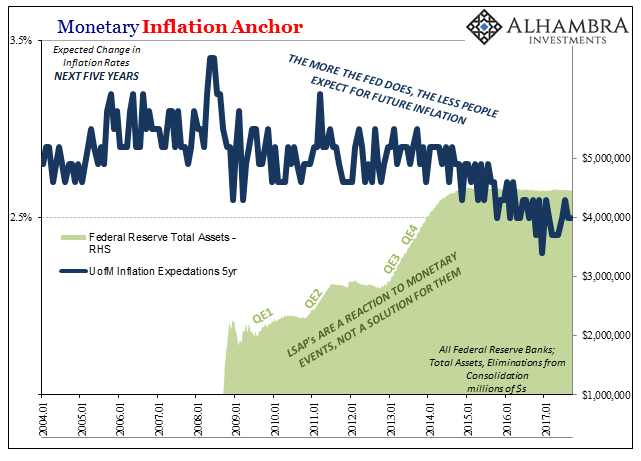 In fact, most of the monetary channels that actually matter experienced sharp and unsustainable growth during that very period (and that is what ended the final run of the eurodollar, not monetary policy and its persisting “conundrums”, plural).  We have in many ways come full circle again, though this time the signals for recovery are that much weaker – or just plain missing outright. Officials at the Fed desperately want for the unemployment rate to be right, and why wouldn’t they? If it is, then they are off the hook for the last ten years (though, I believe, some of them are aware of their personal and reputation risk for repercussions over 2007-09 no matter the status of recovery). If inflation starts to rise here with a low indicated unemployment rate, then the persistently decrepit state of the economy has to be someone else’s fault (such as doctor’s overprescribing opioid pain medication). If they are wrong, however, then the fingers of blame all start to point in their direction. The questions will only intensify, as does the political danger for a backlash, not the least of which is because of how the central bank was given an unqualified benefit of the doubt for so long. The concern on this very matter has become quite palpable, to the point that it shows up in the minutes of the last FOMC meeting. That’s unusual because the whole point of publicizing the meeting minutes is to reassure the public that there is depth on the part of monetary policymakers in whatever action they take – or don’t. The policy statement which accompanies each policy meeting is what they do, the minutes are supposed to be the united front detailing why. The primary point of debate, internal now as well as external, is inflation, or the lack of it. 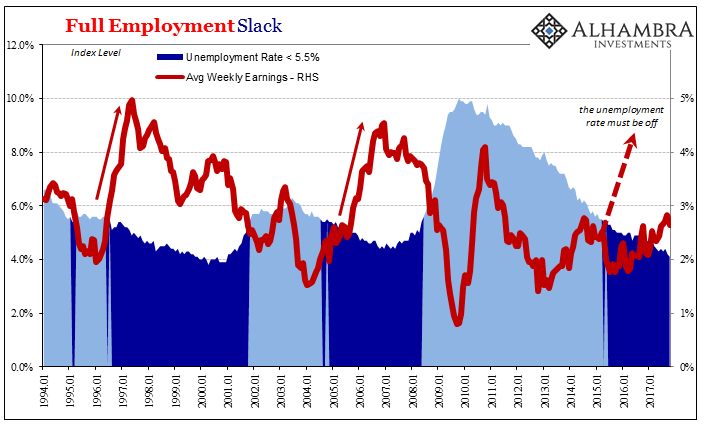 Some of the empty suits look at the unemployment rate pointing toward a 3 handle and simply cannot envision anything other than a trajectory toward the 1970’s. They are itching to get on with the full-scale rate hikes to prevent an out of control wage and price spiral. Some of the less empty empty suits are dragging their feet – with good reason. They point out, correctly, the market isn’t picking up what the unemployment rate is throwing out there. And not just one market, but all of them, including those for inflation expectations. Market-based measures of inflation compensation moved slightly lower; survey-based measures of longer-term inflation expectations remained stable. Participants generally anticipated that inflation would rise gradually toward 2 percent as the labor market improved further and the transitory effects of earlier declines in energy and import prices dissipated. That first sentence wasn’t even true – not at all. 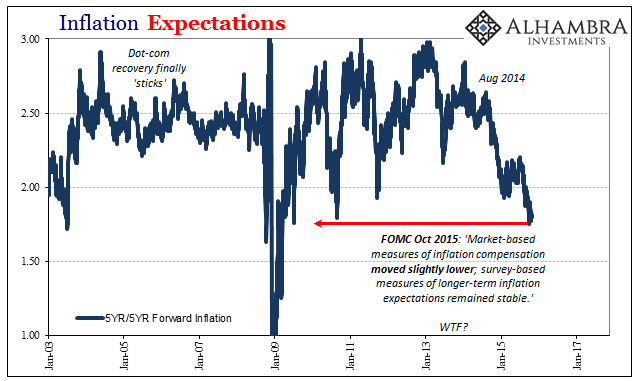 Market-based indications of inflation expectations had collapsed by that point, as had several survey-based estimates. 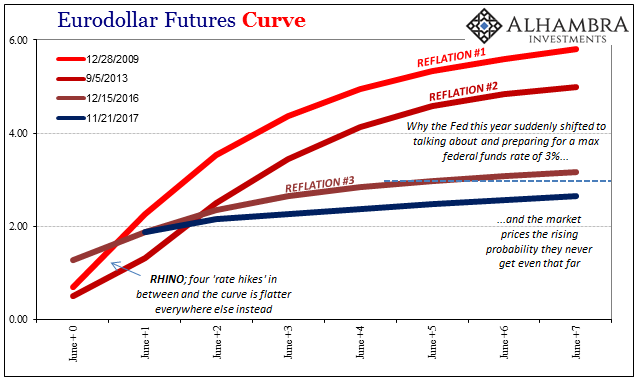 The Fed flat out lied because they thought they could get away with it; that inflation was actually “transitorily” delayed due to overseas “global turmoil” having absolutely nothing to do with them or US$ monetary conditions. 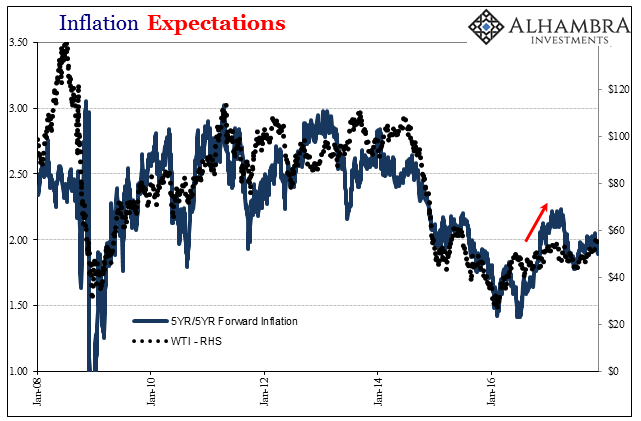 By 2016, they presumed, nobody would care about the collapse of inflation expectations because it would all be forgotten in the recovery conditions that followed. Obviously, none of that happened. The Fed, or at least the emptiest parts of the FOMC, is still using the word “transitory” and it’s making some of the other policymakers increasingly uncomfortable, as it should. In other words, some (and we don’t know how many) Fed officials are worried the Fed is “raising rates” for reasons they don’t really understand, and that missing the explicit inflation target for five and a half years actually does matter. They are doing what they always do even though they don’t really know why. As before, policymakers are in danger of seeing economic strength where it might not (it really doesn’t) exist, not that it risks putting the economy into recession but instead further unmasking how these and other central bankers really don’t know what they are doing on a truly fundamental level. For the world, confirming it in no uncertain terms would (finally) be a step in the right direction; for central bankers, a growing risk. That, I believe, is why there are so many vacancies now for the FOMC. 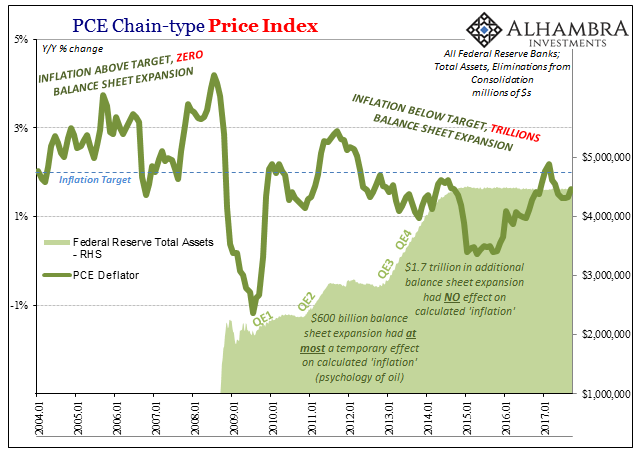 For the first time since perhaps the Great Inflation, there is an unnerving official, mainstream sense that monetary policy and effective monetary conditions may not be at all the same thing.